Backyards are often neglected areas. They quickly become cluttered with toys, lawn equipment, and debris. Once this happens, the task of cleaning it all up can feel overwhelming. Follow these three easy steps to get your backyard in tip-top condition. Start your backyard clean up by removing all debris. If you have piles of sticks, take them to your local waste site or leave them in your yard waste bins to be picked up. Clean all of the flower beds out. Pull weeds and remove dead plants. Rake up all pinecones, leaves, and small sticks. Not all debris is natural. This is also a good time to get rid of rusty bicycles, old tires, or anything else that has been left in the yard. The items that remain after clearing out the natural debris will more than likely be lawn equipment, outdoor furniture, and toys. You can look up online how to build a storage shed ma homeowners can appreciate. Use your shed to store the mower, rakes, and other tools. Designate a specific area for the outdoor furniture, and arrange it in a way that you can use it. Purchase a plastic storage bench to hide toys in. Once all the hard work is done, all you need to do is cut the grass, plant new flowers to make the space pleasant, and come up with a plan to maintain the area. Designate one day to do yard work, and get in the habit of putting everything away at the end of each day. 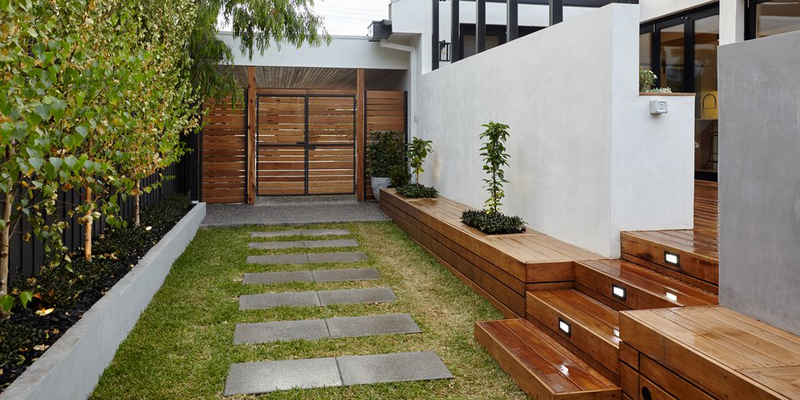 Once you take the time to clean up the backyard, you can begin enjoying this space. The backyard can be a wonderful place to entertain, relax, or simply spend some family time together. Be sure to keep up on cleaning duties so that it doesn’t revert back into a cluttered and messy space you can no longer use.